So many versions, but is the longest cut always the best one? In the case of The Wicker Man, perhaps it is. But there are a number of films that I felt lost something with a longer running time. Longer versions and corrected versions are of course of great interest to dedicated fans and are always perceived as ‘better’. No doubt Joshi’s corrected Lovecraft texts are preferable to the versions that saw print otherwise. But I’m not sure that this practise can be universally applied to all films and books. The Good, The Bad and The Ugly is now almost impossible to obtain without the extra scenes, bringing it up to almost 3 hours. Some of those scenes are a bit dull and change the pacing of the film. Bladerunner is another example: lengthened, inconsistencies ironed out, etc. And let’s not even start of Star Wars. On the other hand we have Lord of the Rings. The extended editions put back lots of great scenes which I actually felt were missing when I saw the cinematic release. But I’ve largely given up watching deleted scenes in DVD extras. Almost without fail it’s clear why the scene was cut from the movie. The same happens with books of course. Stephen King’s The Stand, I’m looking at you. How long before we see the ‘author’s cut’ of the Harry Potter books I wonder? The later books were fat, but the earlier ones were (probably rightly) edited down I believe. If Lovecraft was around today, would he also be writing the obligatory 1000-page novels? Would that be an improvement? Would those films or books have gained the popularity they did if they had been originally released in their longer cut? Hard to say. But I think that in some cases perhaps not. Part of the popularity of a book or film can derive from its pacing, and sometimes slight ambiguities can add interest and intrigue which is lost when the story is clarified. The of course there’s nostalgia and a love for what you saw first. I’m watching the original series of Star Trek with my son. The version we have is digitally restored with some of the special effects redone. At times I’m aware that what I’m watching is a modernised version, but it hardly bothers me, and the clarity of image is wonderful. So it comes down to a matter of taste. But I for one don’t automatically go for the 2-disk version, or the director’s cut. ← Quick-Start: Free for all! Yes, I think any film will have much more material shot than should end up on screen. A lot of modern films feel flabby or even stretched at the two hours or so of their theatrical release, and a ninety-minute cut would improve them hugely. If you want to tell a long story on screen, you should be making television, not film. Titanic was advertised as “2 hours 74 minutes” so that people wouldn’t realise how long it was. 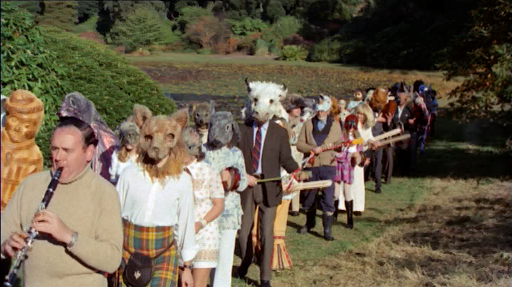 I’d say that the original Wicker Man is a special case. This wasn’t a case of the film being edited to be tighter — it was hacked down to reduce the running time to B-movie length because the new studio owner didn’t like it and refused to release it as a feature. This new release is, I believe, largely the same as the restored cut that came out around 15 years ago, but with extra work to make sure the quality of the restored footage matches the rest of the film. That cut adds a lot of needed material back into the story.